I felt it would be fitting to share how I came to find Reiki for my first blog post. In 2001 I discovered Reiki for the first time. I was taking an aesthetics course and my instructor, Rina, held an introductory class on Reiki. She told us that Reiki meant Universal Energy. I knew nothing about healing or energy work at the time. I wasn’t completely ignorant about it, but I just really knew the basics our mothers taught us ~ “Treat others as you wish to be treated”, and of course the popular, Karma! Rina invited me to lay down on the table. Within a few moments, I felt myself floating slightly, my thoughts moving farther away from the rest of the group. I could still hear her voice as she talked about what she was doing, but it was far away. Soon, I felt like I was floating off of the table, and once I realized this thought and connected to it, I actually grabbed the table with my hands. Of course, the table was right there… I hadn’t moved. After the workshop Rina told me she thought I would be good at Reiki. Perhaps she felt I needed Reiki. Whatever the reason, I’m so glad she held that workshop. I knew I wanted to learn more; I was hooked! I went to see her Reiki master, who I’ve trained with ever since my first level. I have learned so much from Marli, who has become one of my mentors. I have so much respect, not only for her as my teacher, but for the history and tradition of Reiki (which she instilled in all of her students) and what it brings to people and animals. I completed my second level one year after my first, as instructed by Marli. She taught us that we needed time to work with the energy and practice. I believed her, and didn’t rush the process. It wasn’t until 2011 when I felt I was ready to begin my Masters training. I reached out again to Marli and she accepted me into her next group, which would be the last Masters group she would teach. In Reiki, as in anything, there are many methods and teachers. How fast you move through the process ultimately is up to you. However, I would caution everyone not to rush their training. Every level 1 or 2 is taught over the course of a weekend (Mikau Usui spent weeks taking people through his training!) If a teacher is offering this course in one day, please do your research. The four attunements you receive in level 1 is an overload in one day. Masters training shouldn’t be completed in a weekend, or a month. You must learn a Mastery of Self before you can conceive of providing that level of training to others. I invested two years going through my Masters with Marli and the rest of our group of 12 whom I became quite close to. The first year was spent learning and mastering ourselves. We learned how to be outside of Ego, learned compassion (true compassion) for others, letting go of old trauma, and how to be of service to others. 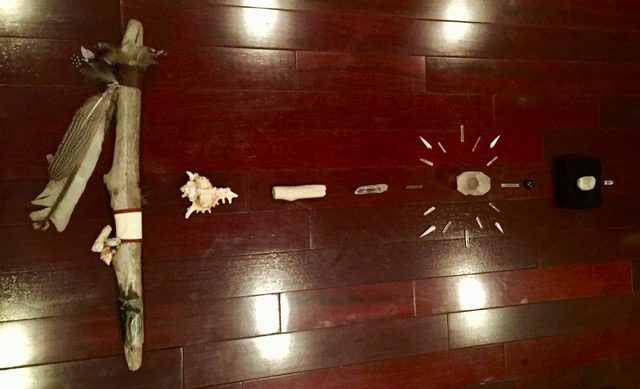 It was a process….. through meditations, reading, discovery and patience. During that year, I finally found what I had long searched for…. peace, and calm. I could still my mind, slow down, not rush, and let go of something I had always held onto from childhood…. anger and resentment. I finally felt free. The second part of our training was our Mastery. Our group became smaller as not everyone felt the need to move forward with teaching. Marli taught us how to teach, our symbols, the attunements, etc. We spent another year in training, and finally finished with our ceremony in February 2014. That moment was truly an incredible experience. Reiki is a lifestyle. It becomes part of you. You learn integrity, strength, compassion… you learn that it is not about you. I had many people say to me how something was different. I was calmer, more patient. It was wonderful to hear, because I had affirmation that I had truly let go of those old wounds. 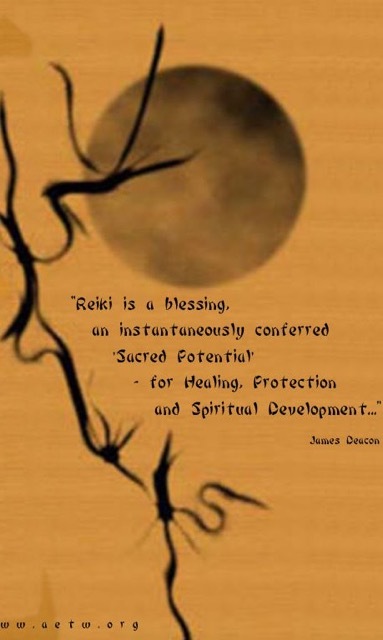 Reiki also taught me something important…. We are all connected. When we help one, we help everyone. That energy flows out and continues from person to person. I’m sure you recognize this as an act of Goodwill, or heard it expressed as Pay It Forward. Energy flows through everything and everyone. It is, Universal. If you’ve ever wondered, ever contemplated, simply open yourself up and discover the possibiities. Reiki is simply the movement of energy; like most holistic practices such as accupuncture or shiatsu or reflexology. All Eastern methods of healing focus on the movement of Chi (energy). Reiki is relaxing, can be hands on or off; you remain fully clothed, and sometimes relax to the point where you fall asleep. I have had people cry during treatment or laugh ~ both of which are ways of releasing pent up energy. Any blockages that develop and prevent us from excelling to where we want to be; that could be your reason for experiencing Reiki. Are you stagnant? Are you dealing with trauma, old or new? There are a multitude of reasons for treatment, and the relief experienced afterwards can be small or profound. discover their path. Afterall, Reiki is a way of being. It is a way of living…. Universally.